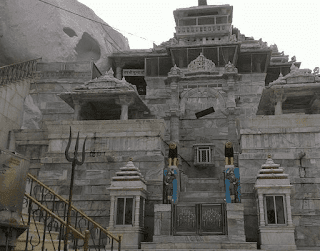 Sundha Mata Temple, perched on top of Sundha Mountain in the Aravalli Mountain Range, is positioned at a height of 1220 metres height. 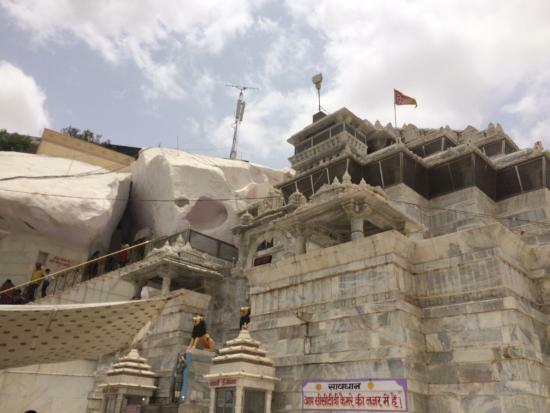 Deemed to be one of the most sacred pilgrimage centres of the town, the temple is located at a distance of 105 kms from the district headquarter and 35 kms away from the sub divisional Bhinmal. 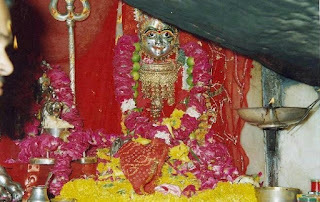 Sundha Mata Temple lies in Raniwara Teshil in the mid-east of Malwara to Jaswantpura Road near Dantlawas village. Set in the midst of scenic beauty, the temple and its environs enthral the heart of the devotees visiting the temple. The resonating sound of the waterfall located nearby captivates the attention of the tourists. How to Reach by Air : The nearest Airport is Jodhpur Airport. How to reach By Rail: The nearest Railway station is Jodhpur. How to reach By Bus or Road: The nearest Bus stop is Jaolre is well connected by road with other cities of the state as well as with the rest of the country. 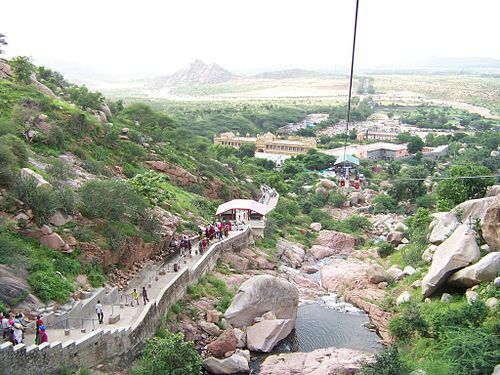 Ropeway : There is a ropeway at the bottom of the Sundha mountain which takes tourists to the top of the hill. 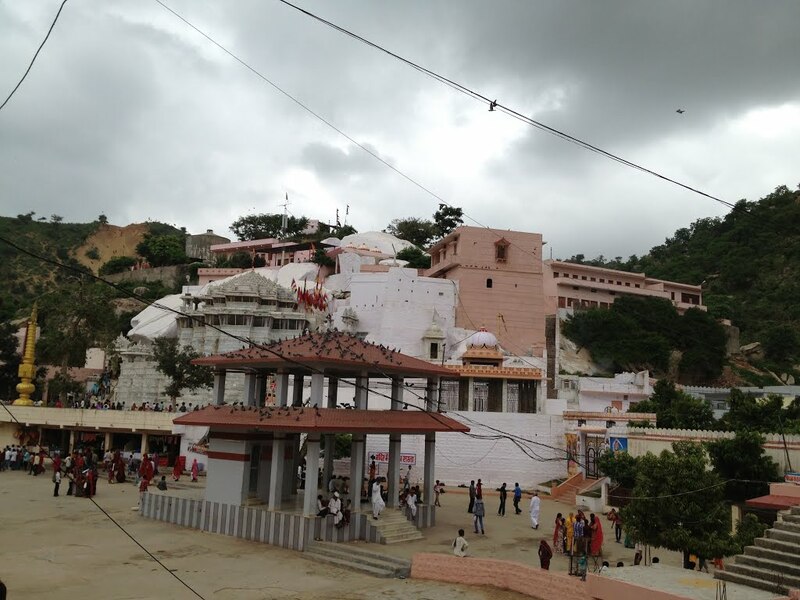 Sundha Mata temple, a 900 old temple dedicated to Chamunda Devi, is located atop a hillock known as 'Sundha.' 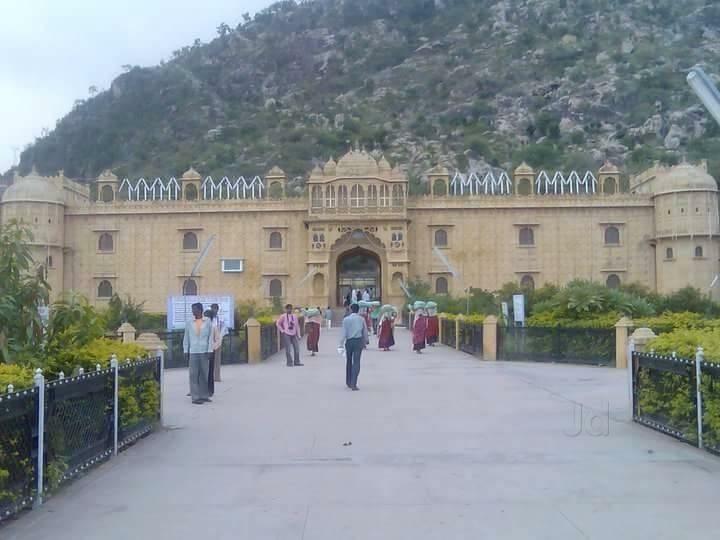 It is located in Jalore District in the Indian state of Rajasthan, India.The temple is built at a height 1220 m above sea level and is considered as a sacred place by the devotees. It is located at a distance of 105 km from Jalore. 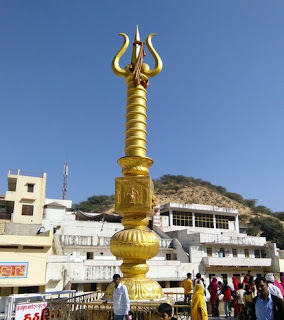 It is 64 km from Mount Abu and 20 km from the town of Bhinmal.The place is frequented by thousands of devotees from Gujarat and Rajasthan.The temple is built by Chauhan King Chanching Dev.The temple houses an idol of Goddess Chamunda, placed within a huge stone. Only the head of the idol of Chamunda is worshipped at the temple. Along with Goddess Chamunda, a BhurBhuva Swaweshwar Shiva Linga is also worshiped at the temple. Sudha Mata temple was built by Chauhan King Chaching Dev during 1312 AD. Sudha Mata is also known as Adhghateshwari, which means a Goddess without a torso. Here, the head of Goddess Chamunda is worshipped. As per the legend, when Lord Shiva was performing Tandav carrying the body of Sati, Lord Vishnu decided to chop the body of Sati with his Sudarshan chakra in order to calm down Lord Shiva. It is believed that Sati's head fell at this place. Hence, this place is considered as one of the Shakti Peeths. In the temple premises, there are three historically important inscriptions which narrate the history of the different regions. The first inscription of AD 1262 describes the victory of Chauhans over Parmaras. The second inscription is from 1326, and the last one is from 1727. These inscriptions throw light on the history of India. 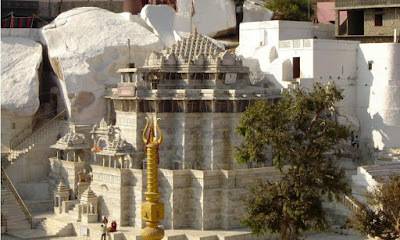 Sundha Mata Temple, a repository of the outstanding art forms, is evolved of white marble. The elaborately carved pillars of the temple augment the charm of the pilgrimage centre that enshrines the idol of the deity under a huge stone. The shrine worships the head of goddess Chamunda. As per a common belief the trunk of mother Chamunda is established in Korta and her holy feet in installed in Sundarla Pal (Jalore). 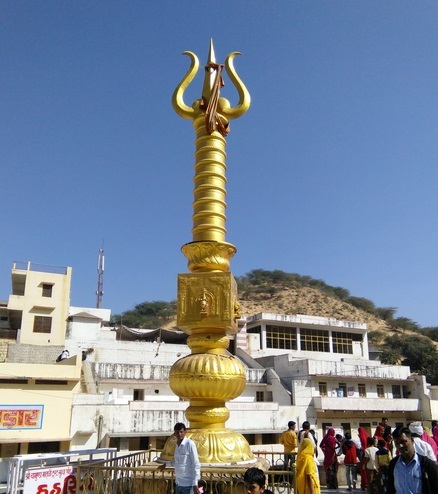 A BhurBhuva Swaweshwar Shivlinga has been established in front of the deity. Besides, the temple also houses the idol of Lord Shiva, Parvati and Lord Ganesha. Thanks for this awesome post. Thanks for sharing great and amazing pictures. It is great to have the opportunity to read a good quality article with useful information.